Snapdeal has introduced a new platform called ReGlobe, where users can sell used gadgets such as mobile phones, tablets and laptops to the retailer. The new Snapdeal service is available for free to its users. The service will soon expand to other categories in the near future. 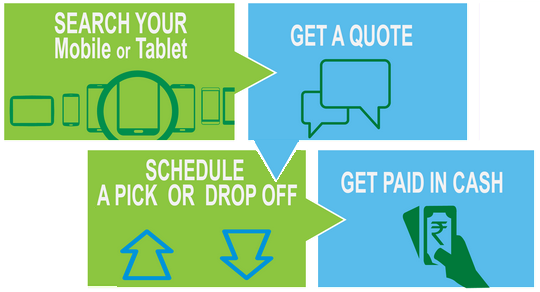 Step 2: Search Your Mobile or Tablet and Click on "GET CASH" Button. 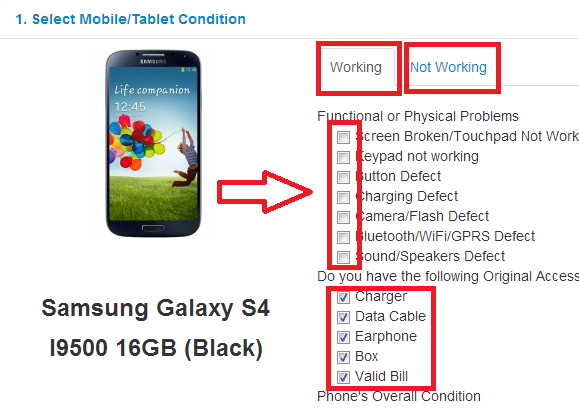 Step 3: Fill details about you device, Working and Not Working Conditions. Step 4: Then Click on "Next" Button below. Step 5: Fill your Contact details and press "Submit" button. Step 6: Now you will get "Get a Quote" from Snapdeal. Step 7: Final Step "Schedule a Pick up". Hyderabad. Snapdeal plans to add more cities in coming months.